The AIRBYTES Customer Documents Magento 2 extension is designed to provide customers with additional information. The module helps to create various documents and provide access to them on the customer group basis or for individual clients. In the following post, we describe how to use the tool and explore its core features. 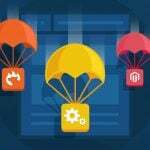 Install the AIRBYTES Customer Documents Magento 2 module and you will get the ability to create new documents with titles and descriptions, upload them, and display for download. As mentioned above, documents can be assigned to specific customer groups or individual clients. Something similar is possible with Amasty Product Attachments and Mageworx File Downloads & Product Attachments. Note that while everyone can see the download link, only customers assigned to the document can download it. And if you already have some documents you’d like to provide customers with, simply upload them via CSV. After purchasing the module, you will get a sample file that illustrates how to create a CSV document correctly. 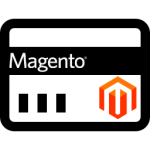 It is also necessary to mention that AIRBYTES Customer Documents Magento 2 Extension provides the ability to customize the frontend appearance of documents. There is a corresponding template file that can be configured in accordance with your ecommerce requirements. And your customers will always stay informed about new documents. Everyone who is assigned to already existing documentation can receive notification when you add something new. The feature is not mandatory, so you can turn off notifications. We recommend you to enable notifications if you add something really important. Now, let’s figure out core extension’s features and then proceed to the backend tutorial of AIRBYTES Customer Documents Magento 2 Extension. REST + SOAP API and HTTP and XML automation. Action – edit, delete, etc. While creating a new document, you have to deal with two tabs: Customer Documents and Customers. The first one allows you to specify such parameters as name and description, upload a file, enable/disable public availability, select a document category (you can create them manually), turn on/off email notifications, and apply restrictions by customer groups. 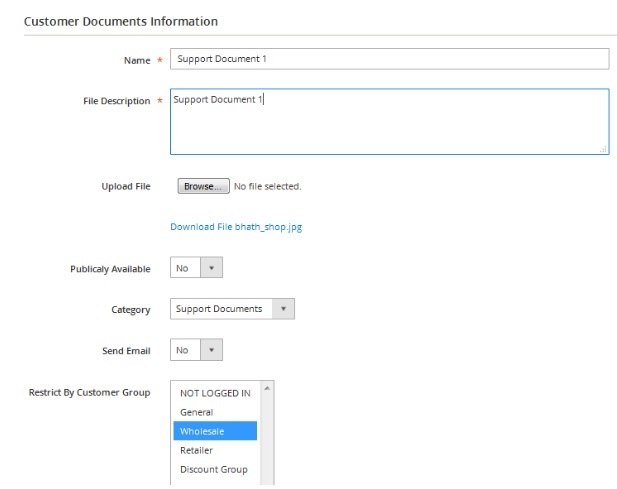 The Customers tab allows you to assign specific customers to the new document. To add a new category, you only have to specify its name. The AIRBYTES Customer Documents Magento 2 module provides the easiest way to add additional documents and assign them to specific customers. The extension has two core benefits. First of all, it is extremely easy to use due to a user-friendly backend. Next, it is necessary to mention that it has a notification system that informs clients about new important documents. The module is quite expensive especially in comparison to other file attachment tools: €399 for its Magento 2 version and €249 for M1.